Metabolism refers to the chemical reactions taking place in the body’s cells. Metabolism converts the fuel from the food that we eat into the energy that powers everything we do. In simple terms, metabolism is the total number of calories the body burns every day. If you consume more calories than you burn, you will be left to store excess calories, resulting in weight gain. In order to prevent becoming overweight or obese, you should burn more calories, but the exact calculus depends on the speed of your metabolism. If you aren’t happy with your metabolic rate, don’t be discouraged. You can rev up your metabolism by working out and adopting the right kind of diet. Getting involved in aerobic activity and strength training will enable you to maintain your total energy expenditure. Increasing your strength and building lean muscles will boost your metabolism. Consuming lean protein can also contribute to muscle mass, which is the workhorse of metabolism. Detoxification gives your liver, the main detox organ of the body, a much needed break. Pure Detox has different detox products that are suited to different health conditions, body weights, and toxic levels. 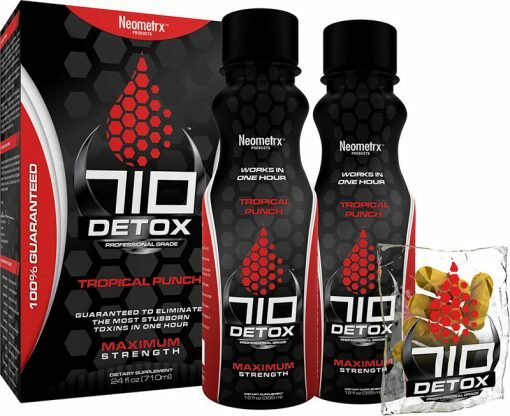 Detox products come in different forms – liquid drinks, herbal detox, tablets, or capsules. Detox products have varying strengths, ranging from regular to high potency. Pure Detox carries a line of products for a wide range of needs. They are formulated from natural ingredients and are designed to kick start your metabolic process while beginning the cleansing cycle. Pure Detox provides an excellent remedy for people whose diets contribute to the accumulation of toxins in their body. Busy people may have trouble finding time to make healthy meals, leaving them to eat frozen entrees or fast food, both of which are larded with excess fat and calories. Unfortunately, the human body was not designed for this type of food. Junk and fast food clog the digestive track, resulting in a slower metabolism. Pure Detox can flush out accumulated toxins, cleansing the body of impurities and allowing the metabolism to function at an optimal pace.